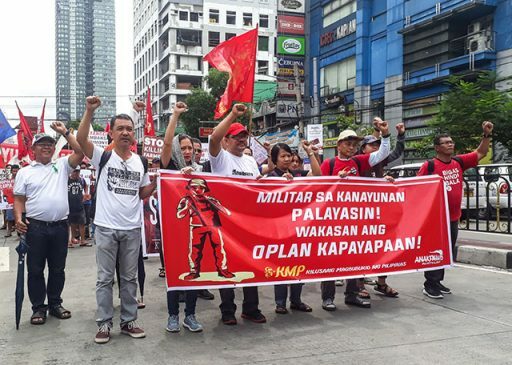 Marking the 30th year since the passage of the Comprehensive Agrarian Reform Program (CARP), farmers and supporters marched from Espana toward Chino Roces (formerly Mendiola) bridge, June 8. Former Agrarian Reform Secretary Rafael Mariano said that the two-year moratorium on the conversion of agricultural lands, adopted by the Presidential Agrarian Reform Council in September 2016, remains pending. Mariano said that the CARP has “inherent loopholes” and pointed out that there is a need for a policy on genuine agrarian reform. 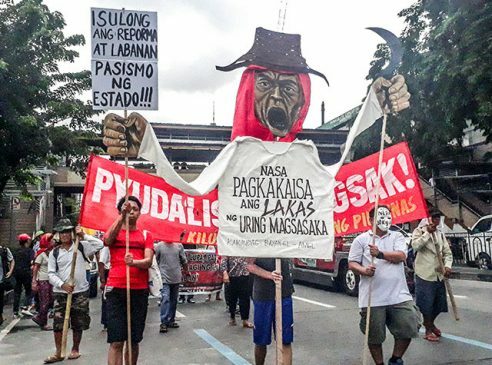 The Genuine Agrarian Reform Bill, however, is still gathering dust at the landlord-dominated House of Representatives. 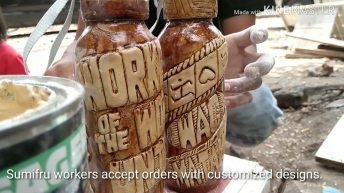 It was first filed in the 14th Congress about ten years ago by the Anakpawis Rep. Crispin Beltran. The primary agenda of the bill is free distribution of agricultural lands to farmers. It was re-filed in the 15th and 16th Congresses by then Anakpawis Representatives Mariano and Fernando Hicap respectively. The bill was again filed in the 17th Congress by Casilao. 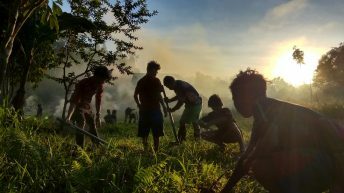 The failure of past agrarian reform programs, Casilao said, has driven farmers to launch their own land reform program, such as the bungkalan (cultivation) campaign. The struggle for land, however, has been met with violence. 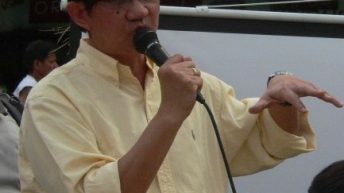 Since CARP, the Kilusang Magbubukid ng Pilipinas (KMP) said a total of 664 peasants have been killed. Under the Duterte administration, 109 out of 126 victims of extrajudicial killings from July 2016 to December 2017 are from the peasant sector, according to Karapatan Alliance for the Advancement of People’s Rights. On May 26, Beverly Geronimo, an active member of Tabing Guangan Farmers Association (TAGUAFA) was killed by suspected members of the Philippine Army’s 25th Infantry Battalion in barangay Salvacion, Trento town, Agusan del Sur. 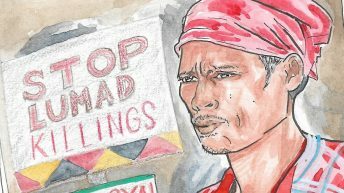 On June 6, a Higaonon lumad, Jose Unahan, an active defender of ancestral land against large-scale mining and member of the Unyon sa Mag-uuma sa Agusan Del Norte (UMAN), was shot dead in Sitio Tagbakon, Barangay Culit, Nasipit, Agusan Del Norte. In an interview with Bulatlat, Kilusang Nagtatanggol sa Inang Kalikasan Ferdinand Manaloto likens their situation in Capas, Tarlac to living under martial law. The Aetas are defending their ancestral domain from the encroachment of Bases Conversion Development Authority (BCDA) and the Ayala Land Inc.
Manaloto said BCDA security guards and elements of the Philippine Army, with two armoured personnel carriers, went to their community on Dec. 5 and Dec. 6, 2016 and recently on June 1. “They’ve been harassing us,” Manaloto said. “Even before the Republic of the Philippines was established, our ancestors had long been there in our land. They were the ones who named our land. We would not allow the government to grab it,” Manaloto said in Filipino. 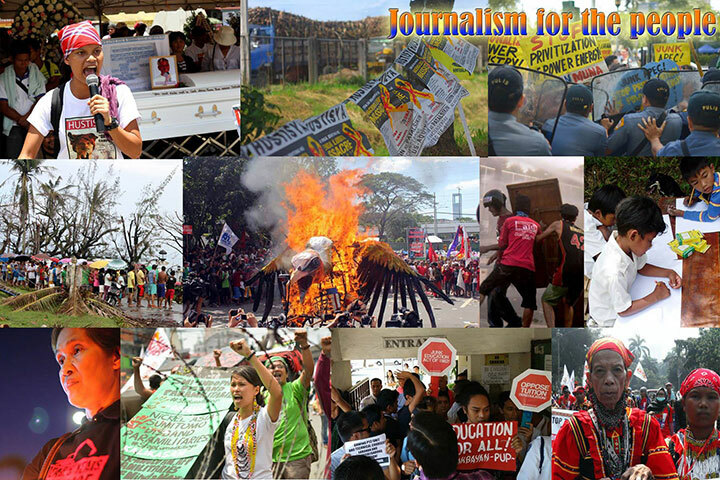 As a response to landlessness and injustice, peasants also called for the resumption of the peace talks between the Government of the Republic of the Philippines (GRP) and the National Democratic Front of the Philippines (NDFP). Before Duterte’s termination of the peace talks under Proclamation No. 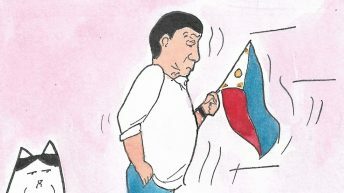 360, the panels were already supposed to tackle the third component of the peace talks: the Comprehensive Agreement on Social and Economic Reforms (CASER), which includes free land distribution and genuine agrarian reform. 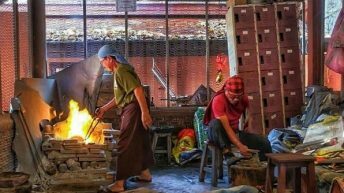 “A resumption of the peace talks will only be beneficial to farmers if both panels would discuss and arrive at a common agreement on significant social and economic reforms. A new and genuine agrarian reform program with free land distribution as main component should be included in the CASER,” KMP’s Danilo Ramos said.